I spent my first few years in Italy. One enduring result on this is a long-term liking for Nutella. 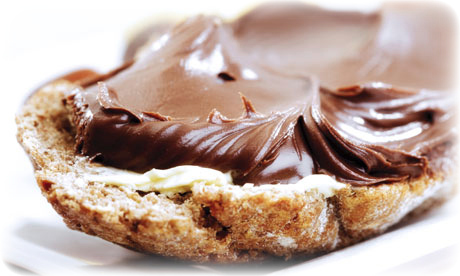 The original and best chocolate hazelnut spread! Australians might love their vegemite and the Americans their peanut butter, but this European can’t get away from Nutella. Except for when I see it in American shops, that is. In recent years I have seen it appearing in the grocery store during my visits to the US, and have bought a jar or two. Same jar, same wrapping, same colour, but not same taste. One ingredient is different – just the oil. One ingredient on a long list, but it makes a difference. 1. Tweaking the tone from good news. Same passage, same illustrations, same length of sermon, but if you replace the good news aspect of the message with pressure to conform, guilt for failure or legalistic righteousness, I guarantee the message won’t taste the same! 3. Tweaking the text to fit an outline. Some preachers don’t go near this neighbourhood, but some seem to live there. Its where the text is twisted slightly to help it fit in a certain outline. Perhaps a three-point alliterated outline. Is that really what the writer was doing in the text? Was that his intended outline? If not, you may leave a sour taste for listeners who sense that you’ve done a bit of a number on the text! These feel like relatively small adjustments, but they leave a very different impression.